Lowell Engle presented $100 to Mariah Downing of Waukon for submitting the best name in the “Name the Elephant” contest. The winning name was “Lincoln”; selected because President Lincoln created the Republican Party and is my favorite president. “Lincoln” will be featured in many local parades and public events. 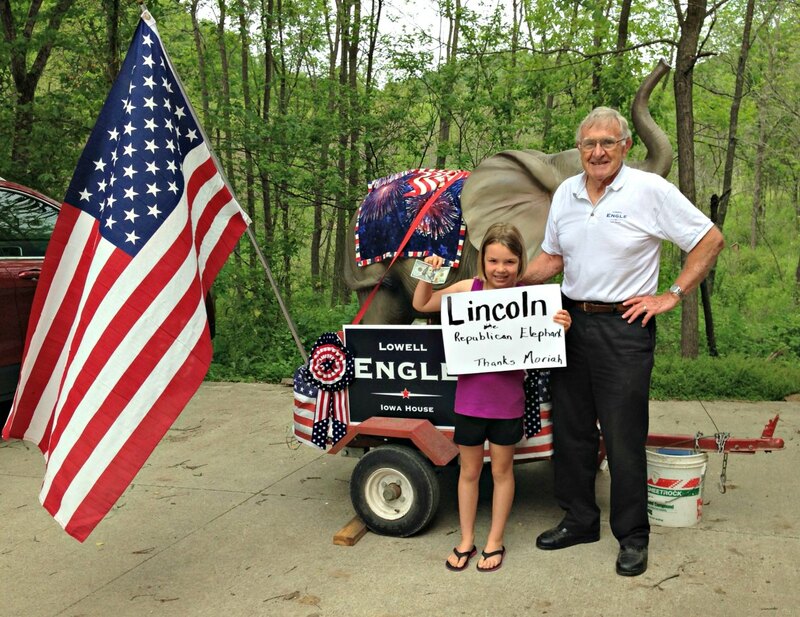 Lowell Engle is running for Republican candidate for Iowa House District 56.